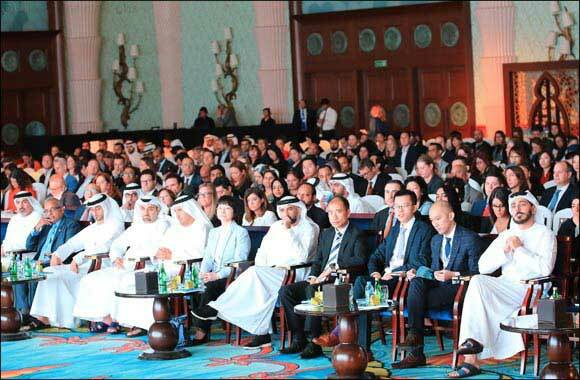 Dubai, UAE: 24 September 2018: Dubai’s Department of Tourism and Commerce Marketing (Dubai Tourism) hosted its inaugural Dubai China Conference on 19 and 20 September at Atlantis, The Palm. The two-day event, which welcomed over 900 attendees, featured integrated workshops and informative guest speakers offering valuable insights from both Chinese and local industry experts. With panel discussions strongly attended throughout the event, guests were invited to deep dive into Dubai’s China Readiness Strategy plus engage with presentations led by industry partners. Breakout periods were also built into the two-day schedule to allow industry players to share knowledge during networking opportunities alongside partners such as Huawei, Ctrip and Tencent. There was also a series of engaging workshops hosted by Mafwengo, Fliggy and Alipay enabling attendees to meet the teams to discuss further potential collaborations, as well as Meituan and DaZhongDianPing which delved into the Digital Cooperation Trends in Dubai. The comprehensive programme demonstrated the clear appetite for attracting Chinese visitors and engaging with market leaders in the travel and technology space. With exponential growth in overnight visitors from China, the event offered a clear indication of the market’s rising prominence as one of Dubai’s fastest growing source markets, after closing the first eight months of 2018 with a record 578,000 visitors – a growth of nine percent over the same period in 2017. While demand from Chinese travellers is increasing at a quicker rate than capacity, visitation growth is supported by a 9.5 percent increase in air capacity over the last five years, and increasingly competitive ticket pricing. Furthermore, the percentage of those on China-Dubai flights who stay in Dubai has increased by 29.2 percent highlighting the increase in demand for elongated stopovers for Chinese tourists. Examining consumer spend of Chinese tourists in Dubai during 2017 compared to the same period in 2016, there was a six percent points increase in share of spend on hotels and local transport with a five percent increase in spend on leisure and entertainment. These positive figures were shared alongside an 11 percentage points rise in business travel when evaluating the main purpose of visits to Dubai. The ongoing relationship between China and Dubai is underpinned by the emirate’s China Readiness strategy. Incorporating a series of large-scale initiatives in collaboration with key strategic partners such as Alipay and WeChat Pay with the ultimate goal of further enhancing the visitor experience of Chinese tourists, the ongoing support and investment through private and public sector collaboration further reinforces the commitment from both markets.